We have been completely overwhelmed by the support we received in the run up to our third Music Extravaganza and are absolutely delighted that the event SOLD OUT. 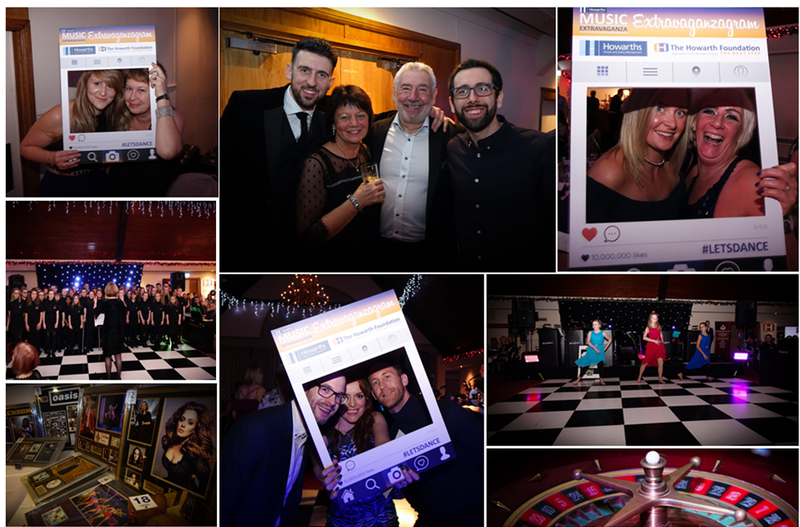 The Music Extravaganza 2017 was held at the Cedar Court, Huddersfield on Friday 24th November 2017 and welcomed 235 guests for a fantastic night of entertainment, live music, fun, laughter and food. From magical champion Darren Mac, casino corner and silent auction to the amazing 9 piece Stirling Austin Band, the entertainment on the night was never-ending and the dance floor was bursting all night long. All the acts were fantastic but the 91 piece Choir from Rastrick High School stole the show with beautiful singing. Their rendition of Coldplay ‘Fix you’ looked to bring a tear to many an eye in the audience! This was followed by a perfectly executed dance trio to Phil Collins; ‘Another Day in Paradise’. The lyrics and emotions of the song were characterised and brought to life brilliantly. The team here at Howarths have been busy collating all the funds raised and we are absolutely delighted to report that the event raised a grand total of £7,525.16. This is higher than our two previous years and is testament to your generosity and willingness to support those less fortunate than ourselves. Plans for the 2018 Extravaganza are already underway and we guarantee an even bigger and more extravagant night of music and fun. We have 6 tables sold already for 2018, so get in touch to reserve your place in order to avoid missing out! A massive thank you to everyone that has supported the Music Extravaganza over the last 3 years! Together, we can make a real difference to people’s lives.